Well it is officially football season so before any snaps are taken I will be giving you my Super Bowl picks. As you recall last year I called it right, just check the link. This year it was a little harder to decided. The Patriots look like they will return to power and the Colts, and Eagles look like they will be contenders. Not to mention the Giants who could be a quiet storm this year. So; who you say? Who is going to the win the Super Bowl this year? Also Mad’Nuff Monday night guarantees are back and better. Stay posted. By now everyone knows about the latest head-turning acquisition in the NFL. No ladies and gentleman, we are not talking about Michael Vick. This is the return of the return of Mr. Brett Favre. I got a look at the Vikings schedule which didn’t interest me much prior to the huge pickup. But let’s all take a look together now that Favre has joined the club. The first five games should produce a 5-0 start; at Cleveland, at Detroit, home against rebuilding San Francisco, home against defensively struggling Green Bay, and at the inept St. Louis Rams. The next three games are tough; home against Baltimore, at Pittsburgh, home at Green Bay. I’d say the Pittsburgh game is a loss. The one against Green Bay could be a shootout based on pure emotion alone that could go either way. The game against the Ravens figures to be hard-nosed and I’ll give the Vikes the edge in that one being at home to bring them to 6-2 midway. After that they get to rest up for a week before they face the Lions again at home, then inconsistent Seattle at home, and Chicago who has defensive and wide receiving woes at home as well. I think all three are wins bringing them to 9-2. The final stretch is where it gets tough; at Arizona, a trap-game like matchup against Cincinnati at home, at Carolina, at Chicago who may be in the division race at that time, and home against the New York Giants who might be in playoff or NFC East title contention as well. If the Vikings turn out to be solid, they should win one or two of those last five games. If they mold into a great team then 12-13 wins should be on the horizon. Favre may be 40 years old, and have shown signs of decay over the last half of the previous year, but in Minnesota he has a proven deep threat in Bernard Berrian, and a put-the-team-on-my-back rusher in Adrian Peterson along with starter-worthy Chester Taylor. This team is much more balanced offensively and stronger defensively than the Jets were last year and that should be the difference in how well Favre plays through another 16 game stretch. The Arizona Cardinals can still be considered contenders. They went very far this past NFL season… all the way to the Super Bowl. If it hadn’t been for a few costly mistakes (i.e. interception resulting in 100 yard TD return for longest play in Super Bowl history by linebacker James Harrison, and two fumbles by the Quarterback) and all things were to remain constant in that game, they would have been Champions. But that doesn’t matter because they aren’t champions and the Pittsburgh Steelers created and/or forced the Cardinals into those mistakes. But make no bones about it; this team totally changed its approach when the playoffs began. Their offense remained just as explosive as it had been in the air, and then they finally decided to rely on the run a little more. For next year, the Cardinals now know that they can run the ball effectively. With Edgerin James getting older, and Tim Hightower being nothing more than an effective backup, the Cardinals have plenty of room to draft a power or fast, or whatever kind of back that can be a pro-bowler. And honestly, they can’t be much worse than James and Hightower. Everyone knows about the trend of Super Bowl losers not making the playoffs the next year, but remember, the Cardinals are still in a poor division with two teams that have to rebuild, Rams and 49ers, and one team that was in real shambles this season and with an aging QB in Matt Hasselbeck, the Seattle Seahawks. I know that sounds hypocritical because Warner is 37 and was still dead nasty, but he is an exception to the rule of the old quarterbacks whose performances dwindle when they get older. Another strong argument against their chances may be that if they can’t keep Anquan Boldin they won’t be as explosive. However, we must remember they either didn’t play with him or did while he was ailing with injuries during these playoffs, and Larry Fitzgerald still tore it up. I believe the Arizona Cardinals are right where they need to be. They showed lots of heart in the Super Bowl defensively after being down 17-7 and 20-7, because they still stuck to their guns and held the Steelers shy of the end zone twice. Of course they blew it at the end, but they still showed a lot of moxie. Do not be surprised to see them in the Super Bowl if it does happen. Plus, with the way the NFL has been the past few seasons, I think the only teams that could surprise me in the Super Bowl are the Lions and 49ers. ‘Nuff said. Therrien/Renney Out, Bylsma/Tortorella In. But Will it Matter? There was only one game Monday night but that didn’t mean the NHL would be lacking in drama after an action packed weekend both on and off the ice. 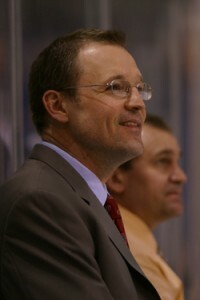 On the coaching end Pittsburgh’s new head man Dan Bylsma picked up his first two victories as an NHL coach in two 5-4 victories over Montreal and Philadelphia respectively. The Penguins lost to Washington on Sunday but five points out of a possible eight in Bylsma’s first four games is a good start for the new headcoach who is hoping to guide the Penguins back into a playoff spot after a disappointing start to the new year for Pittsburgh. Staying in the Atlantic Division takes us to New York where the Rangers fired Tom Renney this weekend only to name John Tortorella as his replacement on Monday. 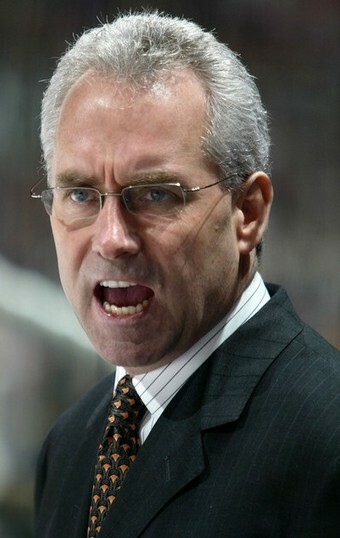 Many close to the team believe Tortorella can provide a spark for the Rangers they could not seem to get from Renney. Tortorella has a history of calling out players publically which may inject the Rangers with just the right amount of energy to help save this sinking ship by not only keeping it afloat but guiding them to the playoffs. There is no denying that Renney is a great coach who will ultimately get another job and most likely be successful in that new position. However, Tortorella sweetens the pot by adding his Stanley Cup ring and that demands the utmost respect; something Renney simply couldn’t add to the mix. In the future there will undoubtedly be many coaching changes across the sports landscape—especially in the NHL. In reality, mid-year coaching changes tend to do very little to change the course of a team especially when they are made toward the end of a season. The players normally don’t change—save for a few here and there—while a season is ongoing and so the chances of a different outcome no matter the coach is slim to none. And this year will probably be no different as both the Penguins and Rangers will probably continue on the paths they were on before coaching changes were made because personnel remains basically the same. If there’s one thing the sports world can learn from the Pittsburgh Steelers is that consistency in coaching and upper management yields sustained, long-term success. Its official Steelers win!! 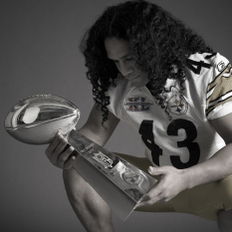 Polamalu compares Kurt Warner to Tommy Maddox. In an interview this week Troy Polamalu was asked about Kurt Warners resurgence in the NFL, Polamalu went on to compare it to Tommy Maddox’s days with the Steelers. He stated that Kurt Warner is a good quarter back in a great system with great players, and that is the truth. While Kurt Warner is a good quarterback we all saw how well he performed in New York. If that indeed is the truth then here is another truth you can’t win the Super Bowl with Tommy Maddox at the helm. The Steelers know all to well what that is like, the only concern now is if Kurt Warner a former NFL MVP and Super Bowl Champion will use that comment as fuel to help him play better. I know that if I was compared to Tommy Maddox in anything I would be quite upset. Now the intention is not to take what Polamalu said out of context, he in fact was doing his best (as all the Players have been doing this week) to say nothing but good things about the other team to keep media hype down. 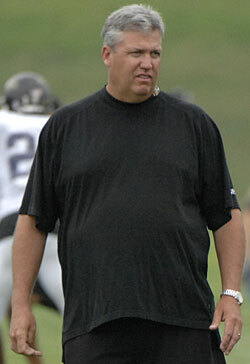 However if Tommy Maddox is involved in the topic there can be no good to come from it. On the other side I am sure Tommy Maddox is somewhere saying “yeah I am kinda like Kurt Warner” ha ha ha. It is now time to write about something a bit unthinkable. A duel between “titans,” I am unsure, but a duel not foreseen at the season’s beginning… yes. On the February 1st, 2009 edition of the NFL’s annual Super Bowl game, the “host” Arizona Cardinals will get to play the Pittsburgh Steelers, five-time champions, for their first ever ring of glory… and they’ll even get to choose which team wears their home jerseys! And even the veteran Steelers are somewhat of a surprise after being knocked out of the first round last year at home to Jacksonville, in earning a Super Bowl Birth while facing the league’s toughest schedule based on last year’s opponents winning percentages. The Arizona Cardinals went from losers of three of their last five regular season games, to winners of three straight post-season games. And not only did they do this with the playoff-history-leading performance by Larry Fitzgerald, 23 catches and 419 yards, but they did it by forcing turnovers and also by generating a respectable ground game. In their three playoff victories, the cardinals have forced a total of 13 turnovers; eight interceptions, and five fumbles, for an average of 4.3 per game. On top of that, a running game that averaged a mere 73.6ypg during the regular season, good for last in the league, grew up and averaged 113.3ypg game in the post season. For all of the praise that the Cardinals have received for being a previously perennial blundering franchise and finally reaching a Super Bowl, they still managed to give up 259.6 passing yards per game (38.4 more than their 22nd ranked 221.2ypg in the regular season) and 20.6 points per game, which is only 6.1 less than their 26.7 in the regular season. Although that is an improvement of close to a touchdown, and the extra passing yardage they have given up can be attributed to giving up just 74ypg on the ground in their playoff wins, that still shows that they have a propensity to let teams back in the game through the air, as they did against the Falcons in the Wild Card round, and Eagles in the NFC Championship game. The Steelers benefited greatly from the privilege of facing an 8-8 San Diego Chargers team in the divisional round, and an 11-5 sixth seeded Baltimore Ravens team at home, after they upset the one seeded Tennessee Titans, in the AFC Championship Game. However, they still won their games by continuing on the success of their 1st ranked defense in points (13.9), total yardage (237.2), passing yardage (156.9), and 2nd ranked run defense (80.2ypg). They were able to hold Baltimore to 14 points, and even though San Diego managed 24, that was mostly because they got two TDs in the 4th quarter while the Steelers were already riding a comfortable lead. Finally, the Steelers have also been able to get two very solid performances from Ben Roethlisberger who has no interceptions, 255 yards and a TD against the Ravens who gave up just 175.5ypg, and an efficient 17-26, 186 yard, 1 TD game against the Chargers while riding a 27 carry 146 yard outing by Willie Parker. And even though Pittsburgh has used their defense to overcome much of the bad play from Roethlisberger, they might be hard-pressed to “stay in the game” with their defense if they aren’t sufficiently complemented by their offense. The Cardinals passing attack, ranked 2nd in the regular season with 292.1ypg, has shown absolutely no signs of slowing down in these playoffs. Even with their more balanced approach by going to the run more often, they are still managing 256.6 yards per game in the air. Finally, the X factor is the two weeks of rest that Anquan Boldin is getting before the big game. With Arizona being able to produce this kind of yardage without him thus far, the return of Boldin can help balance things out against that 1st ranked passing defense of the Steelers. So, once again, Big Ben doesn’t need to have an outstanding game, but will most likely need to play well, because the Cardinals should still be able to get “theirs” through the air in this contest. If any quarterback is going to be less prone to suffer a let down, it should be Kurt Warner, as he has yet to throw a game away all season. I still see him throwing an INT, but one INT does not destroy a team’s hope depending at what point in the game it is thrown. Ben Roethlisberger has looked very mediocre at times this season, and very superb at other times specifically late in games. He would definitely like to make up for his 2005 Super Bowl performance where he went 9-21, 123yds, 2 INTs, and had a paltry 22.6 quarterback rating. Solely because of this notion (that Ben wants to make up for his first Super Bowl and has admitted that to the media) I should be picking the Steelers to win this game. However, I just don’t see the fire in the eyes of any of the Steelers like I see in the eyes of Kurt Warner (which will be instilled into his young team in the huddle and on the sideline). I just feel that the “just another game” approach for the Steelers is a bit too close to the lackadaisical side, and I think Big Ben feels that saying he wants to make up for his appearance is enough. I.E., he won’t. The Steelers could end up looking like a team baffled at the energy of their opponent, and the wake up call may come too late. Cardinals win convincingly, if not handily. On February 1st, the Arizona Cardinals will do battle against the Pittsburgh Steelers. Aside from the surprising appearance by Arizona to get to their first Super Bowl, there is a very surprising trend beginning to surmise… that is if the Steelers win the game. In the Steelers last four Super Bowl appearances they have faced off against the L.A. Rams in 1979, winning 31-19, the Dallas Cowboys in 1995 losing 27-17, the Seattle Seahawks, winning 21-10, and now the Arizona Cardinals. If the Steelers win, that will mean that their last three titles will have come against present NFC West teams. Back in 1979, the now St. Louis Rams, still were a part of the NFC West, but that division consisted of the San Francisco 49ers, New Orleans Saints, and Atlanta Falcons. Since the arrival of the Houston Texans, that division now includes the St. Louis Rams, Arizona Cardinals, Seattle Seahawks, and the 49ers. Another interesting tidbit, like this year’s Cardinals, the only other 9-7 team to ever make a Super Bowl were those same aforementioned L.A. Rams. However, the most striking piece of trivia has to be that all three team’s Super Bowl appearances against the Steelers were their first ever. Could this mean that the Cardinals, although a great story, are doomed to drop the ball in the non-literal sense of the phrase? Who knows, and if the world is what it is, and the Cards do lose, it shouldn’t be viewed as much more than a wild coincidence. Either way, it’s pretty damn cool… especially if you’re a Steeler fan. Will the New York Jets ever get it right? That remains to be seen. For now I will let you chew on this. The only two defensive coordinators to win a Superbowl in their first head coaching job with new organizations are Tom Landry and Bill Cowher. Landry went to the Dallas Cowboys in 1960 after spending the previous six seasons as the defensive coordinator for the New York Giants. Bill Cowher took over for the Pittsburgh Steelers in 1992 after having spent the previous three seasons with the Kansas City Chiefs as their D.C. Landry spent 29 seasons in Big D having won and lost two Superbowls. Cowher spent 15 seasons in the Steel City yielding one Superbowl victory and one loss. It took Landry 11 years to win a Superbowl and it took Cowher his entire coaching career to accomplish the same. Mike Tomlin could very well add his name to this very short and elite list. Making him the quickest to do so in that small class. Many of you are going to point out that everyone is an assistant at some point and that they cant all win Superbowls. Surely names like Bill Parcells and Bill Belichick will surface as well. Of course I am sure you will not forget Lovie Smith and John Fox. How much longer are you willing to wait Jets fans? On Sunday, January 4th, at 1:00pm eastern, the Miami Dolphins and Baltimore Ravens will line up against each other one last time in Miami in a Wild-Card Weekend matchup. Game number three of Wild-Card weekend will feature two teams that had surprise turnarounds from last season. But of the two teams, the biggest surprise was last season’s hapless 1-15 Miami Dolphins doing a complete 180 with an 11-5 record this season while also earning the AFC East title. The Ravens, although always strong defensively, are nothing short of surprising either as they went from 5-11 last year to 11-5 this year. What makes their turnaround so remarkable was that they did it with rookie quarterback Joe Flacco, and if it weren’t for injuries to both Kyle Boller and Troy Smith before week one, Joe Flacco may not have gotten his first start until later in the season and who knows what happens. With that being said, let’s take a look at the key phases of each team’s game. Both team’s offenses seem to even one another out. The Dolphins score 21.6 points per game and the Ravens 24.1 points per game. Although the Dolphins average only 118.6 yards on the ground to the Ravens 148.5, Miami out-throws Baltimore by a tune of 227 yards per game to 175.5. This shows that the Ravens outrun the Dolphins by 29.9 yards per game, and the Dolphins pass for 51.5 yards more than the Ravens. Even with that being said, conventional wisdom shows that the team with the better running game will win. And that should be the case here. What’s even more is that the Ravens are 3rd defensively against the run at 81.4ypg, and a whopping 2nd versus the pass giving up 179.7ypg. The problem the Dolphins have, even though they get to play in the confines of their home stadium, is that they are 25th against the pass at 227.8ypg, and 10th versus the run at 101.2ypg. In all respects, giving up 101.2 yards a game on the ground is not that bad, but when the duo of Ronnie Brown and Ricky Williams is good for a great total of 1,575 yards, and the Ravens trio of Willis McGahee, Le’Ron McClain, and Ray Rice combined for an outstanding number like 2,028, then not only are the Ravens defending the run better, but they are carrying the ball better as well. Even though the Ravens outweigh the Dolphins in some key statistical categories necessary for playoff success, they have not been very good on the road playing against the projected playoff teams in the pre-season; at Indianapolis they lost 3-31, at the Giants they lost 10-30. Their only strong points against what were considered playoff teams were at Pittsburgh when they lost in OT 20-23, at the Dolphins when they won 27-13, and finally, when they beat Dallas 33-24. Allow me to downplay. The Steelers and Ravens are diehard division rivals and always play each other tough. The Cowboys game had two aberration type plays on the Ravens final two drives; an 82 yard scoring run followed by a 77 yard scoring run. Any team would be lucky to get a run of either of those lengths all season long. Last but not least, when the Ravens beat the Dolphins in Miami in week 7, it dropped the Dolphins’ record to 2-4. Since then, Miami has gone 9-1 and are playing at a slightly different level than that period of time. The other thing the Dolphins have going for them is that they had the fewest turnovers in the league with only 13. Chad Pennington had arguably his best season since his first ever rotator-cuff injury with a career-high 3,653 yards, 19 touchdowns and just 7 interceptions while completing 67.4 percent of his passes. Rookie QB Joe Flacco, although he had a great season for a rookie, 2,971 yards, 14 TDs, 12 INTs (not to mention his eleven fumbles) and completed 60.0 percent of his passes, he is still a rookie and is definitely mistake-prone. Like one analyst put it… “What the Ravens thrive on, the Dolphins simply don’t do”… turn the ball over! Although the Dolphins play at home, and are riding the emotional high an unprecedented successful season and comeback year of Chad Pennington, I have to go with the Ravens. They can negate their opponent’s run, and kill them with their own. Furthermore, Joe Flacco is quickly being molded into the confident game manager who can make a few plays here and there that Baltimore has been looking for. I only see Joe Flacco having, at the most, one turnover, and with their 2nd ranked total defense (261.1ypg) and 3rd ranked defense in points given up per game (15.2), the Ravens can easily overcome it. I cannot see a team who beat squads like Seattle without QB Matt Hasselbeck by two points, Oakland by two points as well, San Francisco by five, all at home, and Saint Louis by four on the road beating this gritty Ravens team. Ravens will move on to play the one-seeded Tennessee Titans next week. This Saturday, January 3rd, at 8:00pm eastern, if you like pro football (and you aren't a biased homer), don't miss the potential fireworks of the Colts at Chargers Wild-Card playoff game on NBC. The night cap of day one on Wild-Card Weekend will have two teams on display that can light up the scoreboard. Whereas the Colts have reverted to a more proficient scoring style over the past few years with the peak-point maturity of Peyton Manning, the Chargers have remained a team that can put up points in bunches. This game should have all the makings of a contest that comes down to which team does the best with it’s last offensive drive, and a last chance hail-mary or “lateral push” doesn’t count. Everyone knows that both teams have more-than capable and playoff-tested quarterbacks. Peyton Manning has practically carried his team whose run game which ranked 31st in the league with a meager 79.6 yards per game, and was able to post his ninth 4,000 yard plus season with 4,002 yards, threw 27 touchdowns against a respectable twelve interceptions, while completing 66.8 percent of his passes. These numbers were good enough to earn him a 95.0 QB rating. Philip Rivers, for San Diego, threw his way to his first ever 4,000 yard plus season with 4,009 yards. He also tied with New Orleans’ Drew Brees for the most touchdowns with 34, completed 65.3 percent of his passes with eleven interceptions. All this was good for a passer rating of 105.5 which was tops in the NFL. Much like Peyton Manning, he too had to overcome his teams dip in rushing stats as LaDainian Tomlinson went from 1,462, 1,815, and 1,474 yards in the past three years respectively to his lowest output ever in his storied eight year career at 1,110 yards with 3.8 yards per carry. In those previously mentioned seasons, he had 4.3, 5.2, and 4.7 yards per carry respectively. So this should be the beginning of the down-hill part of his career. But even with that being said, the Chargers still gained 107.9 yards per game on the ground (20th in the league, and eleven better than Indy’s 31st) and even with his 2008 swoon, Tomlinson is still one of the most prolific rushers in the league. Furthermore, his production is still better than the Colt’s duo of Dominic Rhodes, 538ypg, 3.5ypc, and Joseph Addai, 544ypg, and also 3.5ypc. The two of them alone gained 1,082 yards. This isn’t good, as the Chargers second option, Darren Sproles, had 330ypg with 5.4ypc. If you combine his total with Tomlinson’s you’ll get 358 yards of extra ground over the two Indianapolis runners. As far as defenses go, the Chargers were 27th in the league versus the pass, giving up 247.4 yards per game. On the other hand, the Colts were very good with a 6th rated passing defense giving up 188.1 yards per contest. As for the rushing defenses, the Chargers ranked 11th and gave up a respectable 102.6 yards per game. With teams rarely giving every single carry to a feature back, 102.6 yards per game between two to three players isn’t terrible. The Colts, however, were 24th, and they gave up 122.9 yards per outing. That kind of number suggests that their opponent’s feature back was typically able to get at least over 90 yards on his own. Seemingly, the Colts allowed seven of their opponent’s backs to gain over 90 yards to the Charger’s three. Now for the X factors. Both teams are entering the post-season on hot streaks; the Colts have won nine straight, and the Chargers have won four straight. You would think the Colts did their duty better with that kind of disparity, but let’s not forget a few “gimme” games they won this season; The first time they played Houston, when QB Sage Rosenfels fumbled the ball away twice in the waning moments of the game, the game against Pittsburgh when they were down 17-7 at one point and Ben Roethlisberger threw three terrible interceptions, and the game against Cleveland when they were down 6-3 in the fourth quarter and Robert Mathis returned a fumble by QB Ken Dorsey 37 yards for a 10-6 victory. Without those three wins, the Colts wouldn’t even be in the playoffs. In the Charger’s four game streak, their only luck-job win was in Kansas City when they scored twelve points in the final 1:19 of the game to win 22-21. Other than that, they have soared in beating Oakland 34-7, Tampa Bay 41-24, and most recently, Denver 52-21. With all of that being said, the Chargers having a passing game that is actually complimented by the run, the Colts having to rely on Peyton manning for most of the season, and a renewed vigor of the San Diego Chargers by their miracle playoff push after overcoming a 4-8 record, I just simply have to give the game to San Diego at home. There is a reason the Colts passing defense was 6th in the league, and that is because their opponents had field days against their 31st ranked run defense. I am not saying the game won’t be close and that Peyton Manning isn’t great on the road just as he is at home, but the game can easily slip away from Indianapolis in the second half if they have to go score for score in this contest. With just two weeks of play left in the regular season of the 2008-2009 year, a few teams have locked up a spot in the playoffs while others are still fighting to make it. What is about to unfold in this article is, what are in my mind, the teams that will make it. We already know the Steelers and Titans have locked up spots and first round byes in the AFC. In the NFC the Giants have clinched their division while the Cardinals have as well. First I will go over the locks to get in. In the AFC the only sure-fire lock I have is the Indianapolis Colts. If they beat Jacksonville this Thursday in Florida, they’re in. With the way the Jags have disappointed, I do not even see them using the rivalry bug as added motivation to beat Indianapolis. In the NFC, surprisingly, the Carolina Panthers have not clinched even with an 11-3 record, which is a testament to the competitiveness of the NFC. However, one more win or one more loss from another team or two would put them in. The Cowboys have been hot lately. I don’t care about Romo’s performance in Pittsburgh. The game was still close, and it has been their only slip up since his return from injury. They face the Ravens at home, and Eagles in Philadelphia. The Eagle game should be tough and they easily can lose, but to me, I think all of the air got sucked out of the Raven team with their last minute loss to Pittsburgh last weekend. The Vikings should clinch their division as the Bears face the Packers on Monday Night at home, but then travel to Houston the last week. Houston is on pace to finish up 9-7 and Andre Johnson should be able to shred their weak pass defense. After that I don’t think Tampa will get in as they have slipped up and their weaknesses are beginning to be exposed. The Falcons and Eagles to me will be the ones to fighting for the 6th seed in the NFL as they have both been consistent as of late. Back in the AFC, I’ll take the Patriots to win their division. They are at home against the Cardinals who have clinched, and then at a bum Buffalo team. That would put them at 11-5. The reason I see this happening is because the as-of-late inconsistent Jets should lose in Seattle this weekend, and the Dolphins will beat the Kansas City Chiefs. But when they play each other in New York, I’ll take a last-ditch effort by Favre to even their records at 10-6, giving one of them the 6th seed. The only seed I am unsure of is the 4th seed in the AFC as the Broncos are 8-6 and Chargers 6-8. If the Chargers beat Tampa Bay in Tampa this weekend, which is not an oversight, and the Broncos lose at home to the Bills, which is still a bit of a stretch even if the Broncos aren’t so consistent, then they will be playing in San Diego for the division in week 17. If that happens, I’ll take the Chargers. So that’s how I believe the “tournament” brackets will be set up come January. Never underestimate the potential of a Steelers-Cowboys game. This week the Dallas Cowboys face the Pittsburgh Steelers in PA… and both teams are actually good. I for one, am very thankful that this classic matchup will feature two definite Super Bowl contenders who might actually both be in that game at the end of the season. 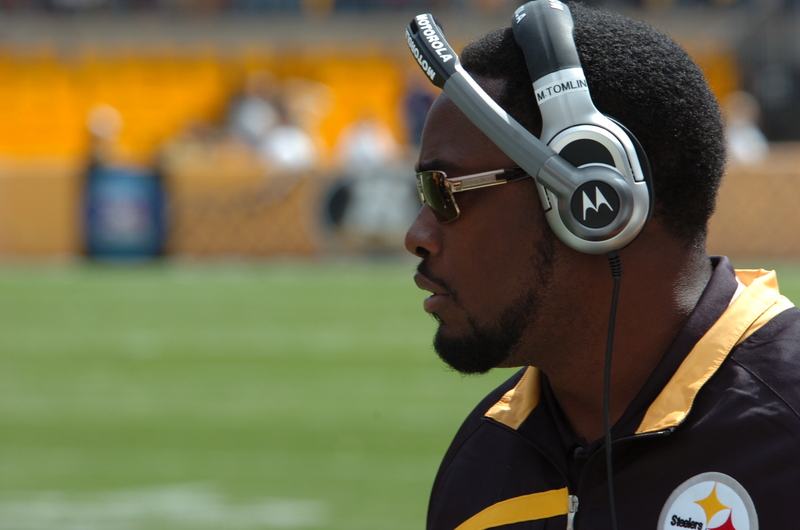 Not much gets better than the Pittsburgh Steelers black and yellow (not gold… sorry Steeler fans. That distinction goes to the New Orleans Saints) jerseys meshing with the Cowboy’s blue, gray, and white. Add to that the Cowboys are 8-4 and the Steelers 9-3, this game should be fantastic! The Cowboys have the right amount of offensive capability to get good production against Pittsburgh’s number one ranked defense. Romo’s return has been vital to the Cowboy offense as they have now averaged 27.6 points per game since he came back as opposed to 13.6 in the three games without him. Pittsburgh is giving up an average of 14.2 points per game, which is first in the league. That makes this as classic as their three Super Bowl matchups as those Cowboys were all known for great offense, and those Steelers were known for their defense. Now Romo will see if he is really back up to speed as he has opted to go without the splint he had on his throwing hand pinky finger. 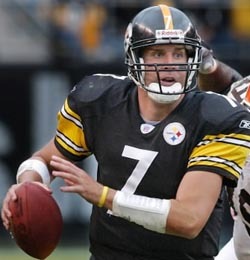 Ben Roethlisberger seems to have made up for his string of bad performances where he had one passing TD against eight INTs in a three game stretch against the Giants, Redskins, and Colts, to having three TDs against two INTs. Although that isn’t great, that’s close enough to the mistake-free kind of game that a number one ranked defense usually asks of their quarterback. Plus, he’ll be playing at home. Another interesting tidbit is the similar adversity that both teams have faced in the middle portion of the season; when the cowboys lost 3 of four, and when Ben Roethlisberger had his team looking quite mediocre with his poor play. Now, both squads have won three straight games, and only one’s streak will continue (the NFL already had its tie for the next many seasons when the Bengals and Eagles finished 13-13 in week 11). Even more fascinating are the striking resemblance of all three wins. The Steelers beat the Chargers at home 11-10 with a field goal in the waning seconds of the game. The Cowboys ran out the clock in Washington for a 14-10 victory. After that, both teams have won convincingly by an average of 30 and 19 points respectively. This matchup is almost guaranteed to live up to its historic building, and if you’re out of both team’s markets and are privileged to get its television feed this Sunday at 4:15pm, you better not miss it. The NFL has hit its third quarter mark, and after twelve of the most up-and-down weeks of football in recent history, it is still a bit of a stretch to call anybody a true lock for the Super Bowl save for the New York Giants. However, there are still a few teams that are definitely pulling away from most others as viable Super Bowl contenders. The first team, resoundingly, is the Giants. This is the best team in the league as far as everyone being on the same page. They have shown great depth to overcome almost all injuries, and even self-imposed gunshot wounds. Their one loss to the Browns in Cleveland where they went down by a score of 14 to 35 was a true head-scratcher. However, that game can definitely hold an asterisk for being an aberration since the Brownies have been terrible for the most part. The Giants have gone from a team with potential who plays on emotion, to a team that just flat out knows how to win. They are a well-oiled machine and are unphased by whatever distractions, whatever home field advantages their opponents have, and whichever fallen soldier opponents might be playing for. The second team that comes to mind in my view is the Pittsburgh Steelers. Their loss to the Eagles was just one of those days where nothing goes good offensively. They had a slump against the two Manning led teams but seem to have their act together as they have won convincingly for the most part ever since. A team like the Jets had their slumps early on against teams like Oakland where they lost 16-13, and only scored ten points at home against the Patriots, then rip off a five game winning streak, blow out the previously undefeated Titans in Tennessee, and suffer another inexcusable slump to the no-defense Broncos at home losing 34-17. That is not the stuff of a contender, but rather a team with potential but a little too inconsistent to have faith in. My next team is the Baltimore Ravens. Say what you want about their rookie quarterback. They are playing lights out and beating opponents they are supposed to beat the way the good teams are supposed to… big. They have had their share of slumps, namely a 30-10 loss to the Giants, and a 31-3 loss to the Colts. However, they already took Pittsburgh in Pennsylvania to OT and lost 20-23, but that was in just the fourth week of young Joe Flacco’s already budding career. If the Ravens get into the playoffs and meet up with the Colts or Giants again, it should be a lot closer as typically, second meetings between two teams in the same season are rarely ever a duplicate of the first meeting. Oh, and don’t count them out to win the AFC North as they still get Pittsburgh one last time for sure at home in two weeks and trail the Steelers by just one game. After the Ravens, the Colts should not be overlooked. They keep finding ways to win, and a handful of those wins were handed to them. However, that kind of luck coupled with their post season experience can be a bad omen for their opponents come playoff time if they get in. And yes, I am counting luck as a factor. They have shown the kind of luck that is too good to be true, i.e. Titans, Steelers, and Browns games. After that, I would say the Cowboys are the sleeper. They slumped big time early on. They did not have their act together as they seemed to display the heir of a team who already saw themselves in the Super Bowl. Now with their backs against the wall, they are looking like that kind of team again. As for other squads like the Panthers and Bucs, their efforts are certainly admirable, but their quarterbacks, Jake Delhomme and Jeff Garcia respectively, are just too inconsistent. The Arizona Cardinals are like the Saints… great passing attack and not much more. The only difference is their division stinks. The one team that could be close to a contender is the Atlanta Falcons. They are moving milestones ahead in their rebuilding process at 8-4, and are perhaps one or two more productive seasons, and a good losing post season experience away from becoming a perennial contender. Other than that, all of the other teams are just a little too consistent for my blood. Pittsburgh Steeler Fans should really get ready for the Draft, since the steelers are not a hard-nosed team anymore. The Pittsburgh Steelers have looked nothing more than pathetic the past couple of weeks. First, they lose a game where their defense basically had shut down the Superbowl Champion, New York Giants. Then they loose a game to the struggling 4-4 Colts. There has however been a reason, for all this though. The Steelers don’t believe they can run the football. When the Pittsburgh Steelers had won their last title they had a hard-nose style of football that would pulverize their opponent’s defenses into submission by the 4th quarter. 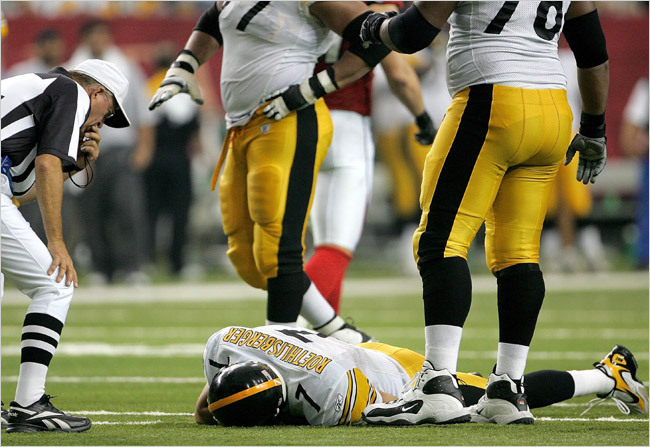 Forcing opponents to have to beat them late in the games, which was a idea not easily fulfilled.The Pittsburgh Steeler’s offense averaged a hearty 35.5 rushes per game, in 2005. They prided themselves on unleashing their dominate offensive linemen on defenses, beating opponents at the point of attack. This tactic, eventually won Pittsburgh a championship. They beat some great teams in the 2005 postseason. Just look at the list. They beat the “High-Powered” Bengals, the Broncos, the Colts, and the Seattle Seahawks, all on the road to win a title. 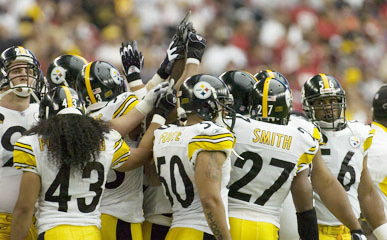 In 2005 we learned, This team had what it takes, however for the 2009 Pittsburgh Steelers, we can’t say the same thing. They only run the ball 27 times per game and because of this I am not sure if the Steelers make the post season this year, considering the improving success of teams in the AFC north as well the improved play of the colts. Otherwise, you won’t see any terrible towels in this years postseason, I promise. This one is a true toss-up. The Bronco defense is atrocious, and the Browns have Brady Quinn starting. Inexperience surrounded by some talent and a home crowd versus a lost, but not found defense, wins the game. It seems as though now the Falcons have become a team that is consistent at what they do. Not to say what they do makes them an elite team. However, the things they are doing are playing solid and potentially explosive offense and better defense than the Saints. Falcons win. Rex Grossman is in, and that doesn’t look good for Chicago. Plus their defense has had a tendency to let opponents back in the game and put up some solid numbers. But I feel Kerry Collins has been getting lucky as the Packers and Colts, the Titans two previous opponents respectively, have eached let three interceptions slip away. The Bears don’t let those kinds of opportunities pass by, Grossman has something to prove, the Bears are at home… Bears hand Titans their first loss. The Jags continue to play to the level of their opponent. The Lions have been getting closer to their first win of the season. Can they do it against the Jags? Not so optimistic. But with Jack Del Rio questioning his team’s chemistry, and upset is in the making. However, I believe the Jags will get their act together in this one and win. The Ravens defense gave up a lot of yardage and points last week to the Browns, but they are familiar with the Ravens as they play in the same division. On the other side, the Texans look good in some games, and don’t continue their production even in their losses. Ravens win with Joe Flacco seeming to get more comfortable as the weeks go by. Miami looks a like a squad that is truly building an identity, while the ‘Hawks are failing to give Mike Holmgren a going-away party to be proud of. Dolphins win easily at home. New England looked solid against the Colts last Sunday night, as did Matt Cassel. The Bills show their true colors as a team that started 4-0 due to a soft schedule and a visiting west coast team in the Chargers. Pats win. Brett Favre is still mistake prone, but with the way the Rams played last weekend, I think the Jets can afford some mistakes in this one. Jets win. Boy do the Raiders ever look like trash. They have two wins, and yet the Lions and Bengals are much more competitive than they are as of late. The “under the radar” Panthers win easy. Both teams had big wins last week that boosted confidence after big losses the week prior. However, Pittsburgh’s “Blitzburgh” defense is hitting it’s stride and coming into its own. Steelers win at home, with either Roethlisberger or Leftwich at the helm. What better way for the Chargers to get healthy this weekend than a date at home against the Chiefs. Even though the Chiefs showed spirit last week, they’ll still lose to the Chargers. The Eagles may be returning to form, but the fact remains that the Giants are a better team all around. Giants win despite the Eagles being at home. Fantasy QBS: Who to start, Big Ben or Rodgers? Let’s look at the both of these QBs in retrospect. Big Ben Roethlisberger and Aaron Rodgers on Sunday, and Monday, respectively, both showed that they can pass, and run if necessary. They didn’t just merely pass, but they hit their receivers with good accuracy on a consistent basis. Aside from throwing the ball; they both display a knack for knowing when to leave the pocket and make a play with their feet, whether they’re scrambling results in a throw, or a rushing gain of their own. With numbers like these, both quarterbacks proved that efficiency can be deadly, even if they didn’t accomplish 200+ passing yards in their games. Some of the most effective quarterbacks are those that allow the game to come to them without forcing the issue. 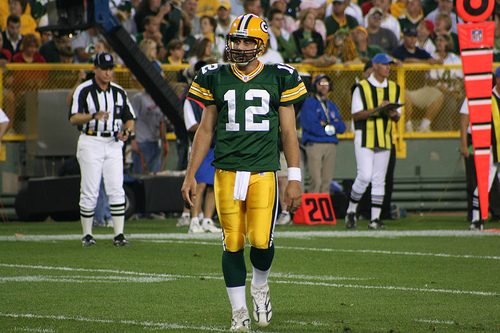 If a quarterback keeps to his mechanics at the outset of each play, and lets his natural ability come second, the law of averages is going to have to allow a big-play opportunity to develop here and there, just as much as the law of averages will tend to allow a smart, short-yardage pass or chance for a decent gainer on ground to develop. With that being said, this weekend I would start Aaron Rodgers since he’s going against a weak defense in the Detroit lions. The Vikings have been constantly hyped up as a potential stout, havoc-wreaking defense for the 2008 NFL season, and Aaron Rodgers obviously didn’t think so. As for Big Ben, he too could have a big night, but I see some potential troubled waters as the Browns could end up having a big day defensively after their practical no-show against Dallas this past Sunday. Add that to the fact that they’re on live television this Sunday night at home, I would have to plead that Rodgers is the safest bet. 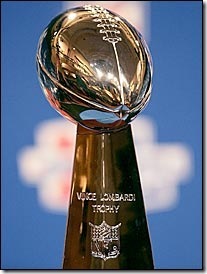 Well it’s the beginning of the season so who is going to win the Superbowl? TO early to tell? 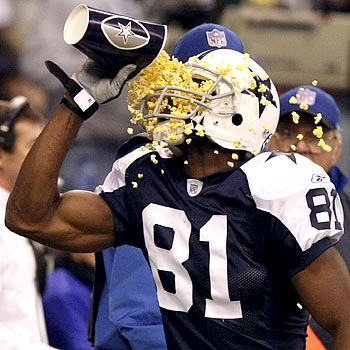 Get your popcorn ready T.O. Not for me. I am going to call it right here and right now before the season even starts, before a single snap is taken. Bold you say. Very; but I called it when the Steelers won in 05 and called it when the Colts won in 06 before a single snap was ever taken.Will I be right? probably, but the statistics are against me. So who am I saying? You really want to know? Well For the AFC I have the Pittsburgh Steelers after winning the Division and fighting through the toughest schedule in the NFL the Steelers will push out to the super bowl. For the NFC I have the Dallas Cowboys. Yes the boys, no they are not my boys (I hate them) but I gotta keep it real. After they come in second behind the Eagles in the Division the Cowboys will make the push to the Super Bowl. Which means a repeat of the 1995 match up probably with the Steelers playing the colts in the AFC Championship game again. With the Steelers winning it all. Why? After losing to the Cowboys in the regular season they will win this rematch because in the NFL the losing team always has the upper hand. So there you have it folks. My super bowl picks, so make sure you write them down, note the time, date and lock it up because I called it. Tagged: AFC, Dallas Cowboys, Mad'Nuff, NFC, NFL, NFL PICKS, Pittsburgh, Pittsburgh Steelers, Playoffs, Prediction, Superbowl Prediction, T.O. Tagged: AFC, Dallas Cowboys, Football, Mad'Nuff, NFC, NFL, Pittsburgh, Pittsburgh Steelers, Playoffs, Prediction, Superbowl Prediction, T.O.